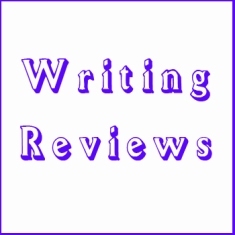 Do you know that you can make money by writing Reviews? Shocking but its true. You can earn a handsome amount by writing reviews online. There are number of websites are available on web who pays you for writing reviews. You can write reviews on movies, websites, articles, products etc. Below i have publish some top and best websites where you can submit your review and get paid. If you are a skilled blogger than you can earn huge amount through this. You will get paid through Paypal. It offers so many interesting assignment via you can make money. It has no minimum payout. And the cash transaction is done with Paypal. This is one of the high paying website. Its main focus is that the bloggers receive a steady stream of work each week. You can join its community and earn money. You can make money by reviewing and promoting the products. Also you will get paid around $30 – $250 to review the products etc. It is allowed to generate great revenue reviewing products. This business was establish in 2000. Buy Blog Reviews is growing very fast. The minimum payout is $10. This business will not only allow you to get your products or services, but you will get the qualified search engine traffic. It is the pretty good website and trusted by many users. It was founded in 2006. It is owned by IZEA. The minimum payout is $50. It has no busy dashboard and you don't have to set the Advertiser prices. Moreover you don't have to wait for blog approval. The cash transaction is set through Paypal. Last but not the least, sponsored review is a trusted and very old blog review site. It connects advertisers with bloggers who are willing to write paid posts. It is an advertising network that will allows you to build backlinks, increase the traffic, and improve the search engine rankings on your website/blog.